When planning new interior during the renovation, most of us do not remember about the different tools and devices for Cleaning. But this issue should be planned in advance as well as the color of the walls! And after the repair, you have to maintain cleanliness and order in the “home of you dream.” The interesting question is: Is it possible to create the perfect interior with a place for mops and a vacuum cleaner? And because not all funds are compact enough, then there is every chance encounter with a real problem where to put the vacuum cleaner, mop, brush, broom and many other appliances and cleaning products? On the one hand they should be easily accessible. Agree, do you want to unload half the contents of the drawer or closet, just to wipe the dust or remove the ground near the broken flowerpot? On the other hand, means for cleaning is hardly attractive decorative elements, so it is better to hide them from prying eyes. So, here are 13 smart ideas where to store cleaning stuff from Jiji! The attractiveness of this form of storage is in its usability, compactness, and versatility. Vertical drawers fit perfectly, for example, kitchen and even add some aesthetics, diluting abundance of horizontal drawers. Next their advantage – functionality. You will be able to easily plan the interior space of the box in order to comfortably accommodate chemicals for cleaning, napkins and towels, brushes and other tools. The width of the vertical box can be just 20-30 cm, but due to the height, you can quite comfortably accommodate it not only household chemicals but also a mop, broom, and brush. If the question of free space is not as prevalent, the vertical width of the box may be more spacious, to allow to place in the lower part a large inventory, for example, a vacuum cleaner. All kinds of shelves and drawers you can find on Jiji! This option may be not optimal for the dwelling, but for a studio or garage, it is quite acceptable. That is, if you are constantly a need for cleaning, the same mop or brush should be in close proximity. 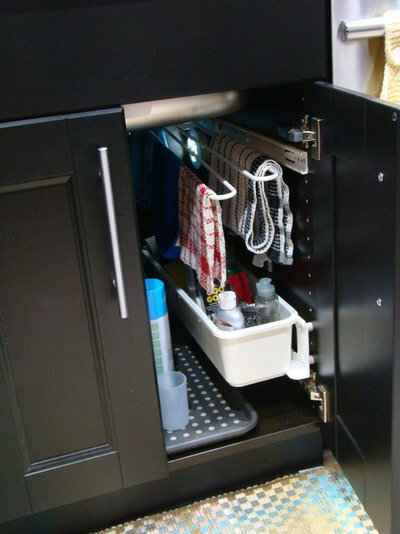 It’s very usable if you just do not have time to fuss with lockers, drawers or other clever storage systems. Therefore, use the hinged hook of the original form or multistage vertical hangers to accommodate equipment and cleaning accessories. The opportunity of a separate room for Household Equipment, traditionally has lucky owners of large houses or apartments. And that this option did not seem too irrational from the point of view of planning, a separate room can be provided with additional functions. Many shelves, racks, and hooks for storing household equipment are the very attractive idea! Want to buy the dwelling? All best propositions are gathered on Jiji! If you can not painless for the overall functionality to find at least a small place for the organization of the storage place, you will have to consider more eccentric variants – eg, placement of special fixtures near the ceiling. The only issue – you will need to pay special attention to bringing the brooms and brushes after cleaning in order to remnants of dust and dirt do not crumble on had. Improve all you renovation ideas with Jiji! Undoubtedly, such an option can be called a functional. If a rational approach to the internal layout of a stand-alone box, in the end, it would simultaneously capacious and compact. Be sure to think through the location in it horizontal shelves and bracing for a long equipment – mops, brooms, brushes. For storage of household chemicals suitable for separate sections, as well as you will have the ability to effectively use the inside of the door. It is always possible to use the general style of the interior to solve the practical problems. So, if the room contains cupboards, chests other items of furniture, the design of the place for cleaning stuff, which imitates another wardrobe will perfectly hide all items! In fact, this will be a relatively small niche, which will not take up much space, but it will place all the necessary things. Buy furniture on Jiji! It’s easy and cheap! Owners of private houses with several floors are lucky to have such a planning element, like a ladder. Why is “lucky”? – because the space under the stairs can be turned into an ideal place to hold any household equipment and a variety of small things. 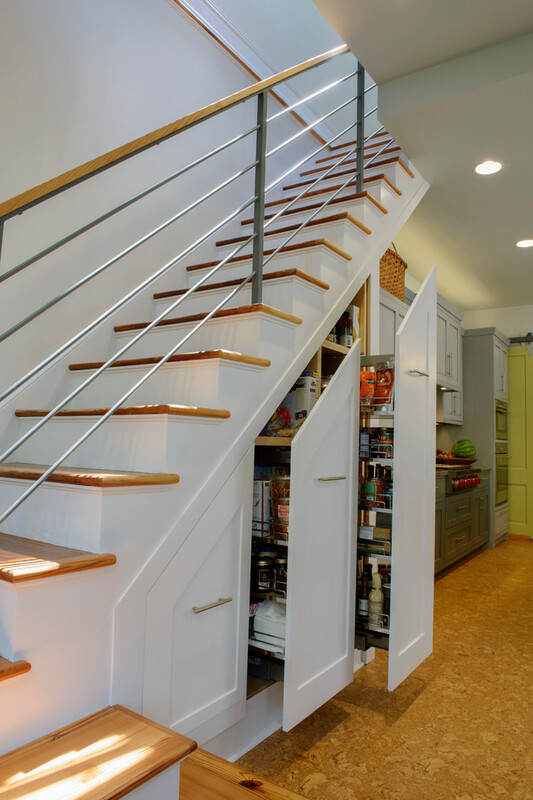 At the same time, depending on the design and dimensions of the stairs, and the arrangement of storage options can be a lot! Storage of household equipment in the bathroom under the sink can be called “classical”. Unfortunately, there is not always a lot of space, but quite a satisfactory result can be achieved if the proper organization of space. Keep your home well with Jiji! The post Where To Hide Cleaning Stuff: 8 Smart Ideas appeared first on JiJi.ng Blog.